My research in experimental petrology is mainly carried out with external collaborators in laboratories abroad. Currently, with D.J. Frost and O. Savchuk at the Bayerisches Geoinstitut (Bavarian Research Institute for Experimental Geochemistry and Geophysics), I investigate the melting phase relations of the systems MgO-SiO2 at 6 GPa and AlO1.5-MgO-SiO2, CaO-MgO-SiO2 and FeO-MgO-SiO2 at 16-24 GPa. Our aim is to derive improved thermodynamic models that can give insights into early Earth deep melting and differentiation. Another project deals with the isotope geochemistry of NE Atlantic and Arctic basalts, and the convective dynamics and melting of their mantle sources. Reidar Trønnes received an undergraduate degree from the Norwegian Institute of Technology and a doctorate in experimental mineralogy from the University of Western Ontario. After a postdoctoral fellowship at the Nordic Volcanological Institute (NVI) and a position in the industrial minerals group at the Geological Survey of Norway (NGU), Prof. Chris Scarfe invited him to join the starting team of the new multianvil laboratory at the University of Alberta. 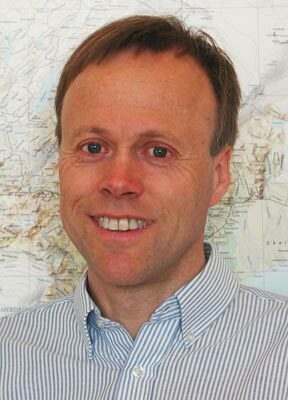 Four years of research, technology development and undergraduate and graduate teaching, was followed by another two-year position in the mineral resources group at NGU, before he joined the Mineralogical-Geological Museum at the University of Oslo in 1994. After a museum reorganization in 1997-2000, he spent another four years at NVI in Reykjavik as a visiting scientist (2000-2004). From 2010 he participated in the preparation for a new Centre for Earth Evolution and Dynamics (CEED) and joined CEED in January 2013.